Mobile GMaps is a FREE application that displays maps from various sources like Yahoo! Maps, Windows Live Local, Ask.com and Open Street Map on Symbian and Java J2ME-enabled mobile phones, PDAs and other devices. MGMaps can connect to a GPS receiver over bluetooth or use internal GPS features on some phones in order to automatically display the map for your current position. Maps and satellite imagery: view various types of maps and aerial images, zoom in and out, mark favorite places with map pushpins. 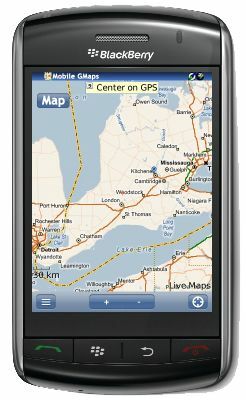 GPS connectivity: connect to a GPS device over bluetooth or use the internal GPS to view maps or aerial imagery for your current location. Enable GPS synchronization to continuously move the map as you move around, view your position, speed and heading. Search for places or businesses, view the results including addresses and phone numbers, get step-by-step directions. Do you want to call any of them? You can do that directly from Mobile GMaps! Favorites: store your favorite places or search results to jump quickly to any of them. Stored maps:New! pre-download maps on your phone and use them without going online. GPS tracking:New! 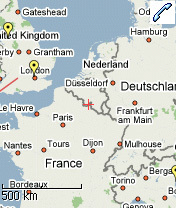 see where you are and track your friends on the phone, or on the web site http://www.gmap-track.com . Traffic info: see the congested roads and estimate delays in major U.S. metropolitan areas. Subway maps: view subway maps for New York, London, Berlin, Washington DC, Boston, Philadelphia, Chicago. 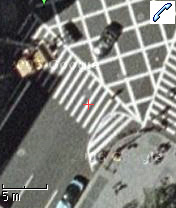 Mobile Wikimapia: Wikimapia.org is a mashup that allows users to add tags and annotate locations displayed on Google Maps. They already have over 1 million places, now you can view them on your cellphone using MGMaps! View KML files: view any .kml file available online containing Google Earth places by simply entering its web address. Compressed files (.kmz) are also supported. I dont like this wap. hi. i spent my data on crap. 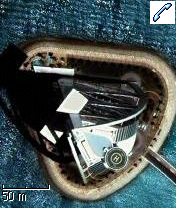 why provide a service for a sony ericsson satio u1i in a ZIP format? satio does work with zip files... im reporting u for frauding!